The expected in-stock date is 24 April 2019. HTFS 3 is rated 3.0 out of 5 by 2. Rated 5 out of 5 by Rfelici from Clean design After failing to find an alternate stand that would fit, bought these and was not disappointed. Very simple and easy installation, sturdy and nice black matte finish. Are these speaker stands compatible with the 65BQ speakers? Hi, Thank you for your question. Yes, they are compatible with the HKTS 65BQ speakers. hi ... im trying to buy a sabre SB 35 ... will these HTFS 3 can be paired with it and be used as a single unit ? No. First, the HTFS 3 floor stands does not include the speakers. 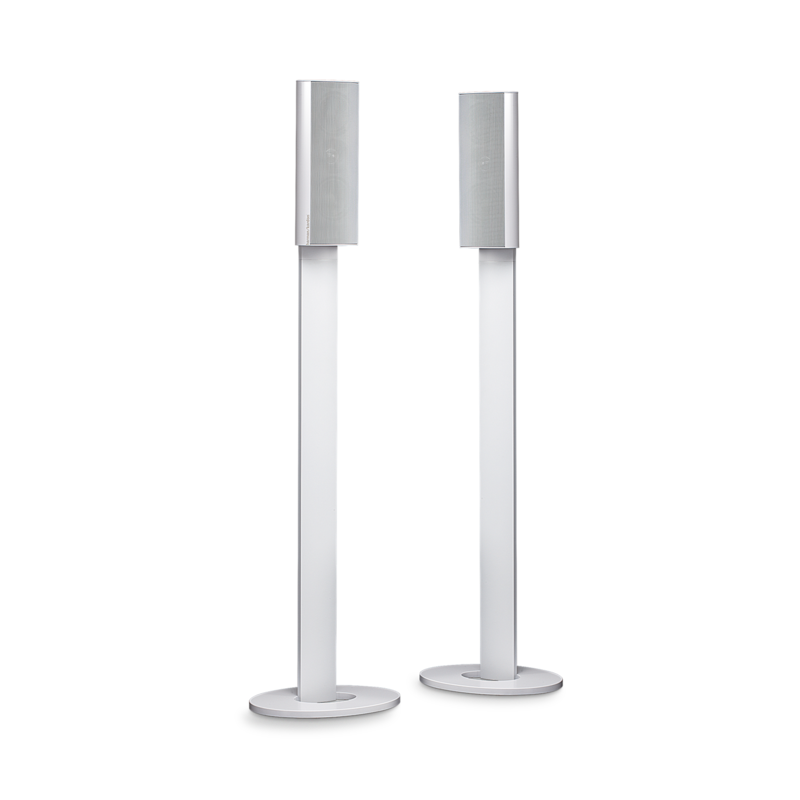 This are only floor stands that are compatible to the HKTS 20 satellite speakers. Secondly, no additional speaker can be connected to the SB 35 SABRE other than the subwoofer that it comes with. The SB 35 SABRE is a stand-alone system. Hello I am going to buy a wireless wifi system and I want to know if these speaker stands that you carry will hold either the OMNI 10 or 20 speakers. If not, can you order stands for these 2 models. I really need stands in order to make the sound level. The HTFS 3 stands are only designed for and compatible with the satellites of the HKTS 20/30/60/200 sets. With how the stands are designed, they cannot accommodate either the OMNI 10 or 20 and we currently do not have a stand designed for these speakers. This is possible but would require investing in additional equipment. You would need to purchase a Bluetooth adapter that would transmit the audio signal to a wireless satellite speaker. Harman Kardon does not have any product that is specifically designed to do this. It is ideal to stick with wires instead of going wireless since this will avoid the delay or drop-outs that wireless connections can cause and most importantly, going wireless for your speakers would bypass the wonderful sounding built-in Harman Kardon amplifier. Wireless and Bluetooth this tower n when u say one pair means 2 for 189 something?? The HTFS 3 Floor Stands are sold in pairs so you do get two of them. This product is being sold as an accessory to the satellites speakers of the HKTS 20/30/60/200 systems and does not include speakers as is. Unfortunately, these speakers are not compatible with the HTFS3 stands. We do not currently have any stands available for the HKTS16 speakers.